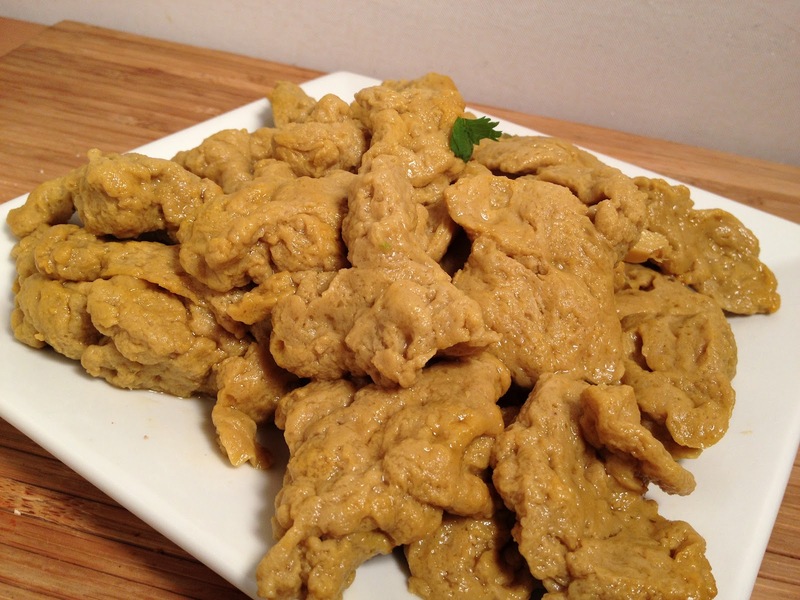 SEITAN– I still do not pronounce it right lol! “Say-Tan” – listen for yourself here. 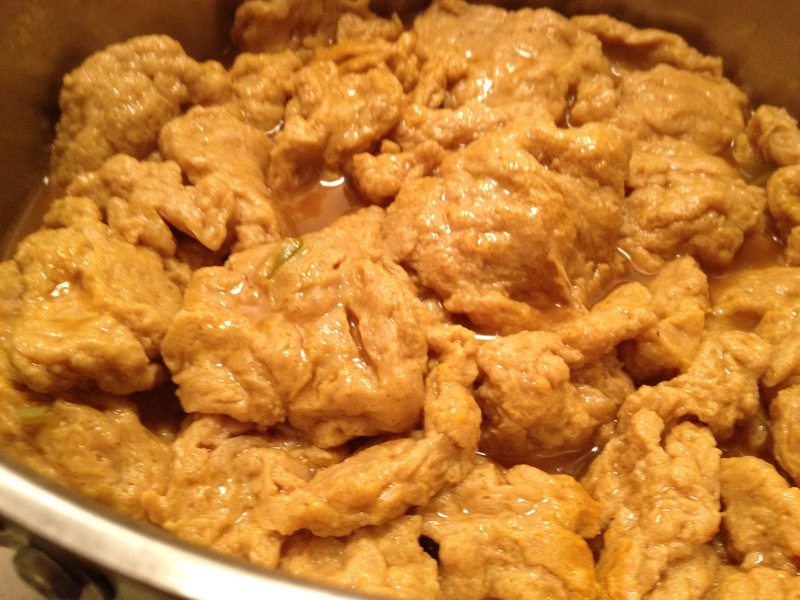 It’ also called wheat meat, vegetarian white meat and also gluten. It’s made from wheat gluten.. the main protein in wheat, thereby making it high in protein itself. 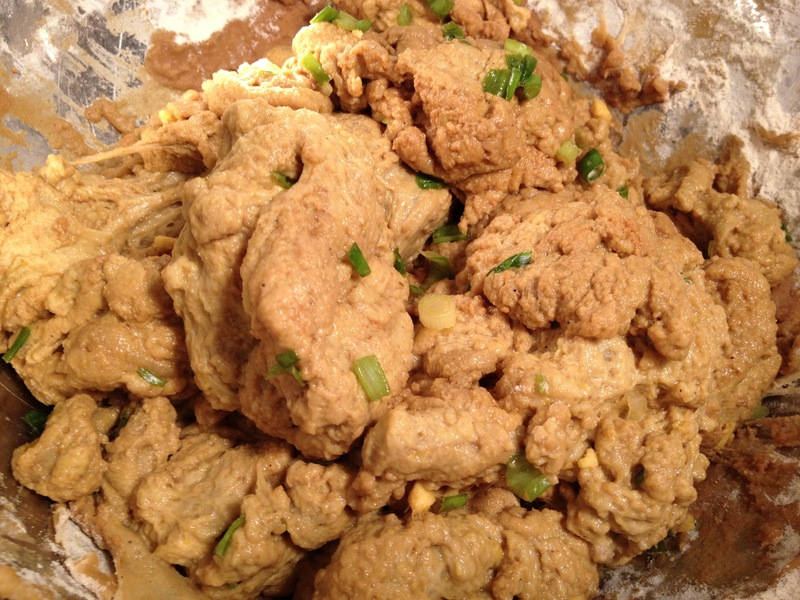 I have cooked with seitan before and ordered it in restaurants but i was truly inspired and determined to make it FROM SCRATCH after watching Honey LaBronx: Vegan Drag Queen Cooking Show on YouTube. Did you watch it?– love her! The ingredients are crazy easy- go to the health food store and buy vital wheat gluten; after that, if you keep a stocked kitchen- you should be good to go! I may have spun off the original recipe but you will get the idea once you begin. Spices (3T) -like cumin, turmeric; onion, ginger and/ or garlic powder etc. I used about 5 cups of vegetable broth and some water too. 1/4 cup tamari- salt city yes! Kombu- one piece to add minerals, alkalinize etc. Mix the dry ingredients in one bowl and the wet ones in the other. Once those two mix- look out- it’s like an “arms” workout built right into your cooking. It toughens up so quick- then you have to mold it, stretch it, knead it- lol- it’s not easy! Try to get it into the shape you want: cutlets, strips, chances- good luck! I did the best I could! THE BLOB– lol; not good since I had nightmares for a whole year from reruns of that movie when I was a little kid. 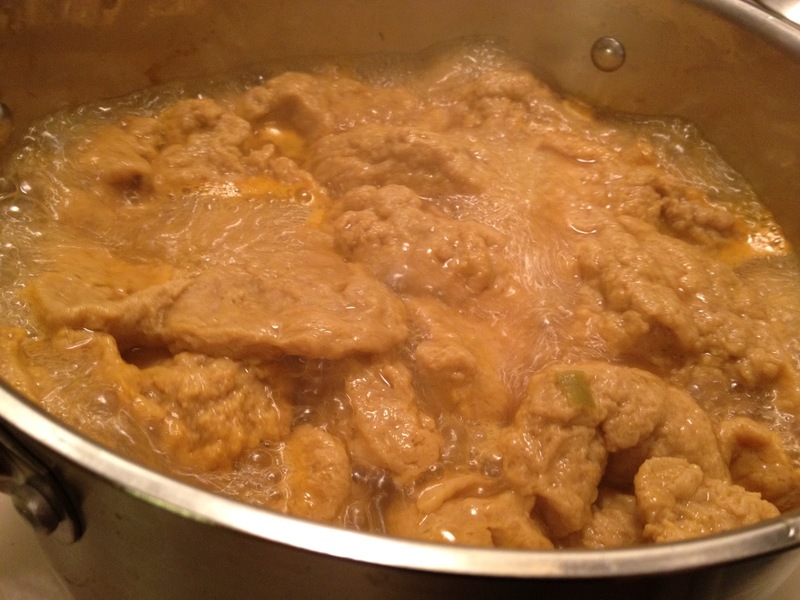 When you pull the lid off the seitan boiling- that’s exactly what it looks like! If it looks and tastes rubbery- you made it right ( I think!). So why do people eat this? I do for the protein- it’s about 16 grams per 3.5 oz serving! It contains vitamins and minerals and if you want to compare it to meat- there is no saturated fat or cholesterol. It’s lower in calories too! According to LIVESTRONG, it is also a good source of iron at 3.6 mg per 4 oz serving. (Adult women generally need about 18 mg). You can make nice meat alternatives with this but be careful of the sauces. Sauces are sometimes loaded with sodium and sugar and extra calories. You definitely need something to soak into the seitan. It will take the flavor of whatever you are cooking. I will make a few things- check tomorrow’s blog and the next day! You are my hero!!! I am so touched that you followed one of my cooking shows! 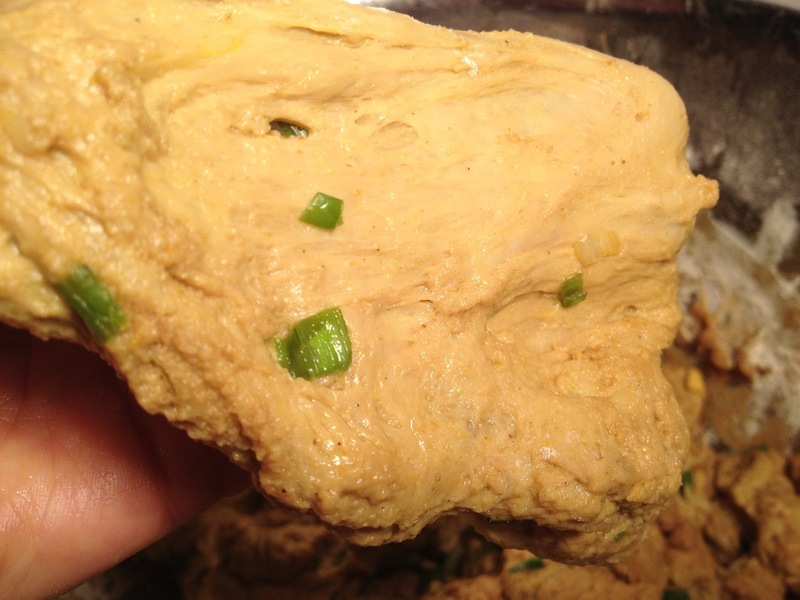 Your seitan looks absolutely delicious, and I love the interesting liberties you took with this recipe!